through sending / return of crew regularly. For this, you need a local environment that is close to that of Earth. 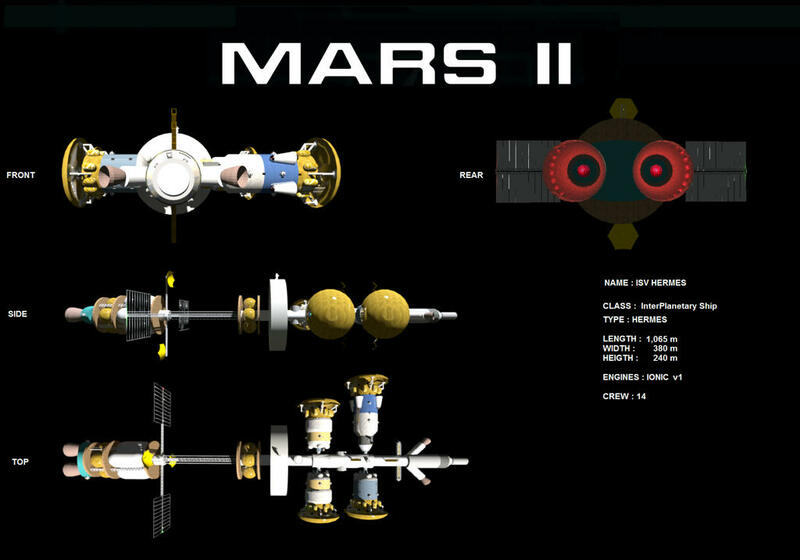 To continue the mission, Mars Two will base on conjunction scenario. 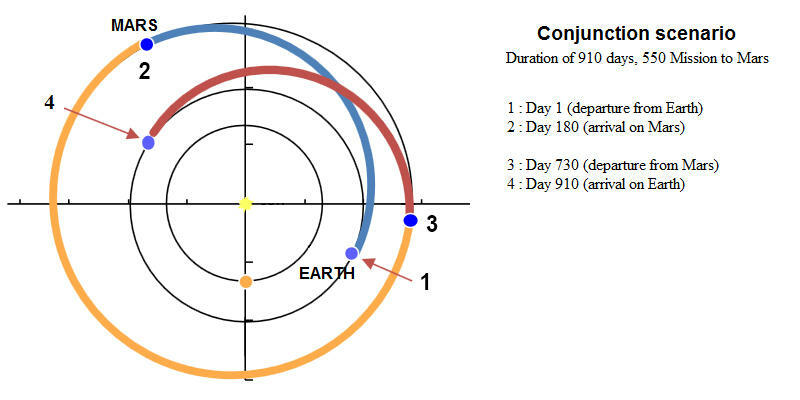 A conjunction comes back all 26 months. 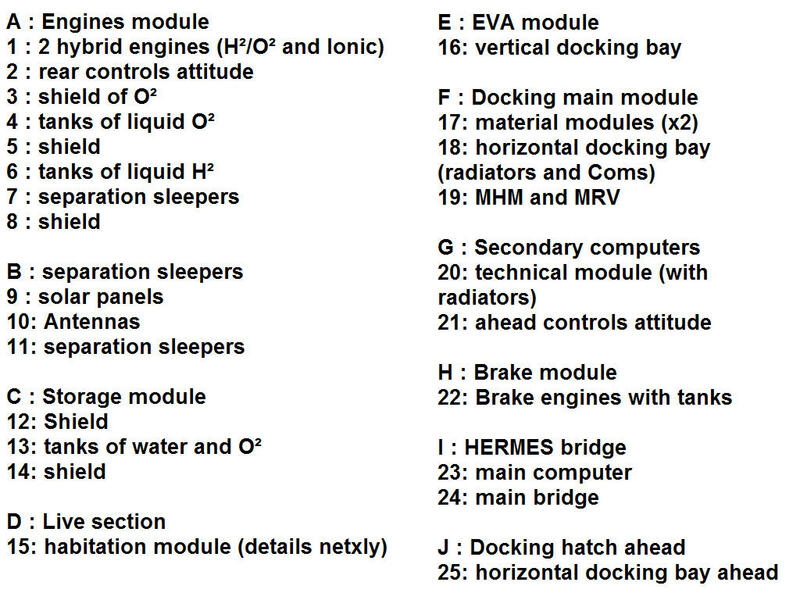 and finally the engine module with 2 nozzles. No, I tease you, it's a great new project! There are still some details to finish. 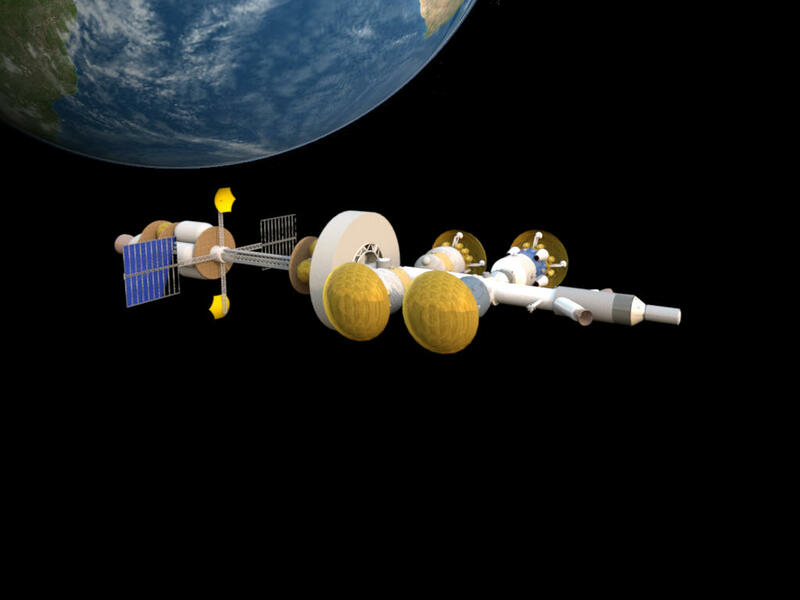 Like in the movies "The martian" or "Mission to Mars", the astronauts live in big Wheel in rotation (3 rpm). 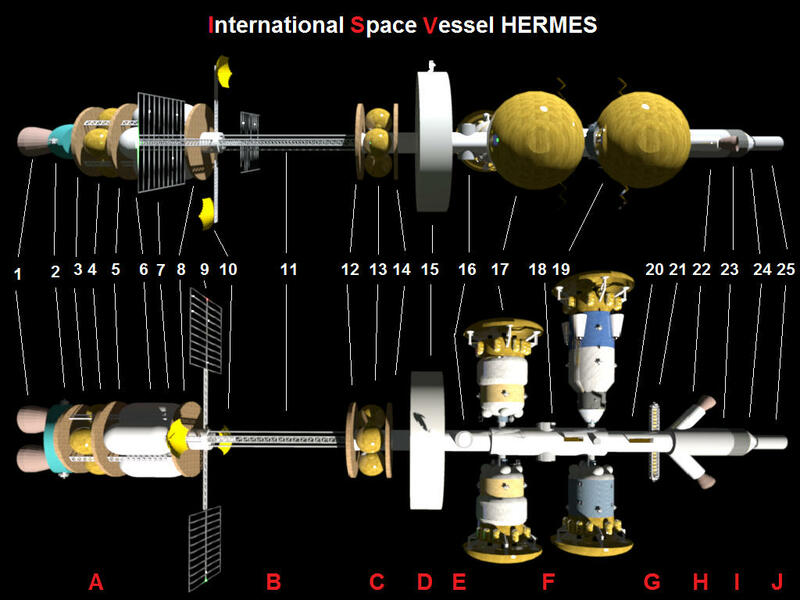 Here specifications of the ISV Hermes. Very nice Bert! Finally, my work might be in relation with aerospace thanks to you (I studied Aeronautics Engineering in case you didn't know). Many thanks! 180 days for that journey? On my screen its only about 2 1/2 inch's. Great idea m8, look forward to seeing it evolve. @Manu thank you, I am honored. If you see 'silliness', tell me. We can do anything with SH3D.